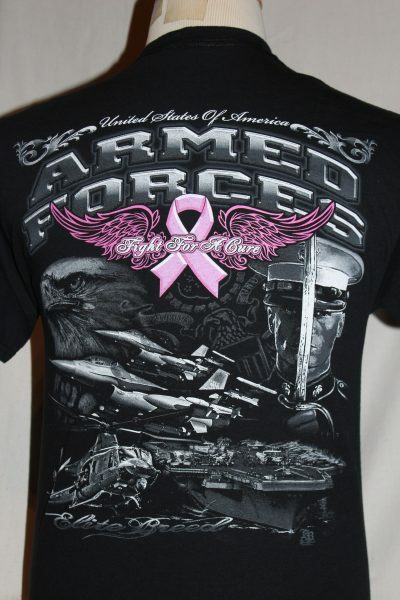 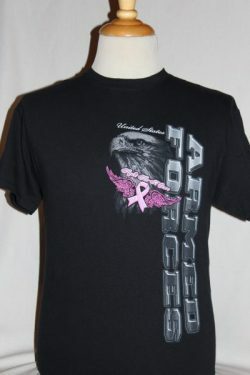 The Armed Forces Breast Cancer Awareness T-Shirt is a two sided print in the black. 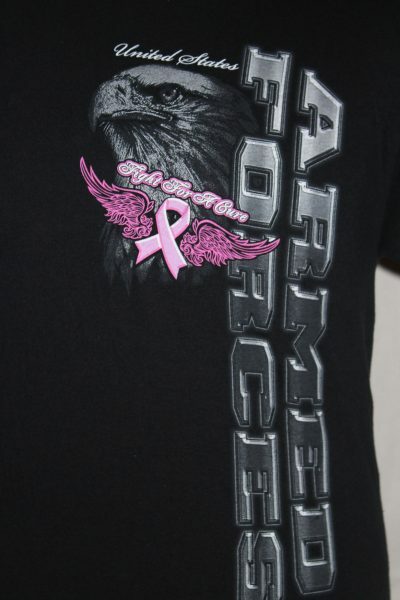 Front Design: Pink ribbon, Pink wings, Eagle, and Armed Forces Text screen in the vertical on the left side. 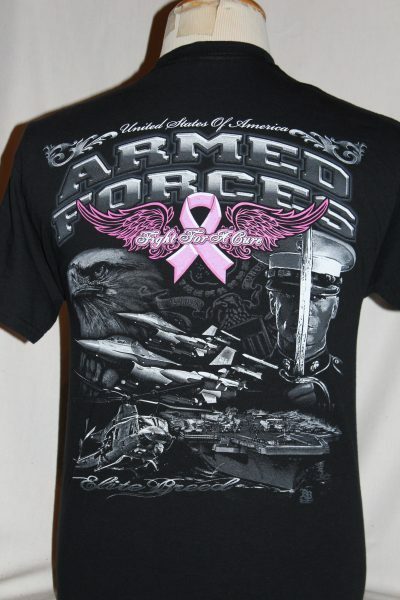 Back Design: Pink ribbon, Pink wings, Eagle, Aircraft Carrier, Jet Aircraft, Huey Helicopter, Marine with sword, and text.